How are you on this "lucky" Friday? We are feeling a bit lucky today with this warm weather in the air! We also have some fun NEW things happening around the shop. So let's see what's going on! We've got some NEW woolie samples up! Check out the beautiful Farmyard Nights! Such a fun piece for any rooster or chicken loving sewer! 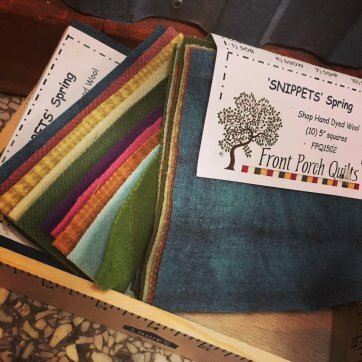 While we are talking about wool - check out these NEW Snippets in beautiful Spring colors! Each pack contains ten 5" squares! 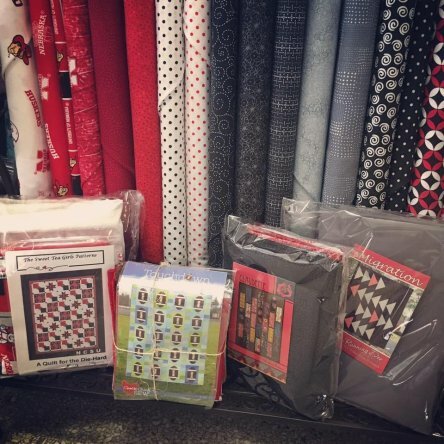 Have a Husker fan in the family - Check out our variety of Husker quilt kits, fabrics, blenders, and more! Block 2 has just been released! Check it out! 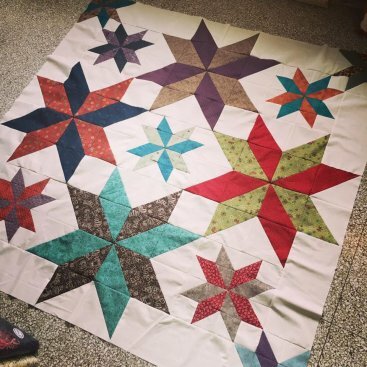 If you are interested in joining us for this fun Mystery Block of the Month check out Count Your Blessings! 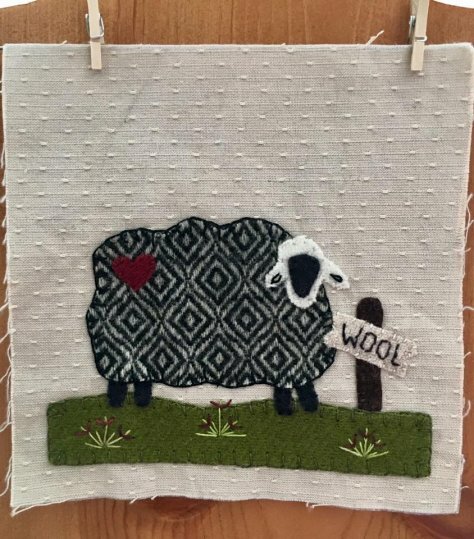 The pattern is available FREE in the Wool Applique group on Facebook. 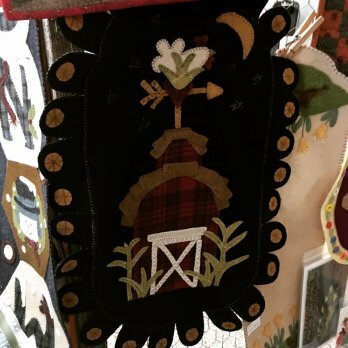 Each month on the 15th the new pattern will be released (and the old pattern will be removed). You may also purchase kits for $10 from us plus $3 shipping if you are not local. They are available as singles on our website or you can sign up for monthly auto shipment by calling the shop 308*344*9389. I've been working on finishing up a few projects in between all the crazy shop hop fun! So here's my latest finish! Have a fabulous weekend and enjoy the sunshine!